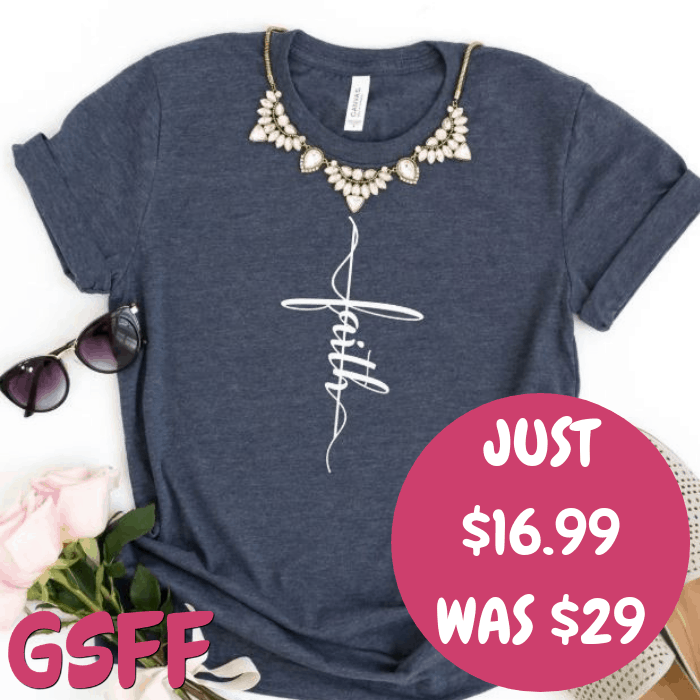 Faith Tees Just $16.99! Down From $29! Shipped! You are here: Home / Great Deals / Faith Tees Just $16.99! Down From $29! Shipped! TODAY ONLY! Hurry over to Jane where you can get this Faith, Hope, Love Tees for just $16.99 down from $28.99 PLUS FREE shipping! May your faith be strong! With 6 different designs to choose from, these UNISEX tees can be paired perfectly with jean shorts or jeans! These tees are our favorite tees that run like a larger boyfriend fit tee, we recommend ordering your true size for a relaxed fit, and size down for a more slim fit.